While our members have braved any number of extreme weather conditions, even broken through ice on a frozen lake to ensure that racing goes ahead, with weather forecasts consistently showing near 50mph gusts, rain, sleet and snow during our regular race times on Sunday 10 December, we have taken the rare decision to cancel the session. 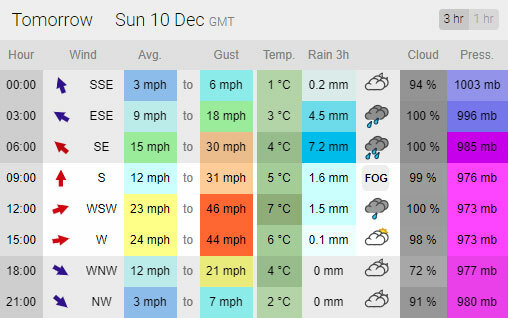 Predictions for Sunday, 17th December are a rather more sedate 5mph gusting to 10, so see you then! 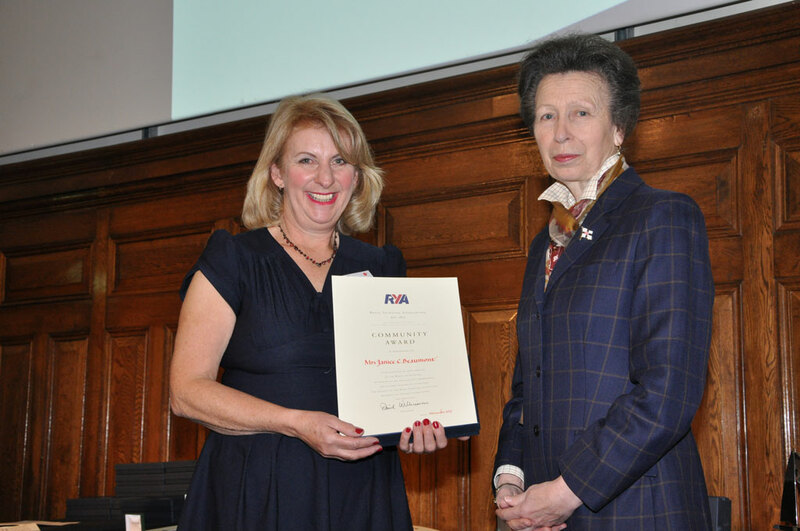 A Croydon sailor was among dedicated volunteers from across the UK who had their endeavours recognised by Her Royal Highness The Princess Royal at the annual RYA Awards on 24 November. The RYA Awards are presented to outstanding individuals or groups nominated by their sailing clubs or associations and selected by the RYA Awards Panel. Janice Beaumont of Croydon Sailing Club (CSC) received an RYA Outstanding Contribution Award for her commitment to boating. Janice has been a member of CSC for 14 years and was elected Secretary in 2010. Since she took office membership has doubled, as has the club’s annual programme of activities and the development plan has been 90% accomplished. CSC has held some of the most successful RYA Push the Boat Out Days in the country, thanks to her efforts. Janice organised the creation of CSC’s RYA Training Centre, and holds the twin posts of Secretary and Training Centre Principal. She has applied for grants to fund instructor training, boats and equipment and created and delivered all the training programmes. Janice has worked tirelessly to open up the club and sailing to families and non-sailors and she thinks constantly about how the club can further improve. Janice said of receiving her award: “Stepping onto the stage to shake hands with the Princess at the awards ceremony was a memorable experience for me as I was there to represent the tremendous growth in sailing activity at Croydon Sailing Club. It is a privilege to be part of the development of an active sailing program for youth, adults and families in Croydon, which would not have been possible without the support of the RYA and grant funding. It was inspirational to meet the other award winners and RYA board members in celebrating the many achievements of dedicated club volunteers from across UK”. RYA Director of Sport Development, Alistair Dickson concluded: “Volunteers are the lifeblood of our sport. Today has been an excellent opportunity to celebrate the fantastic work our volunteers do to support boating activity in all forms throughout the UK.